I was expecting Games Workshop to charge a lot more for this! Probably one of the most famous miniature games is Games Workshop’s Warhammer 40,000 the far future sci-fi game. 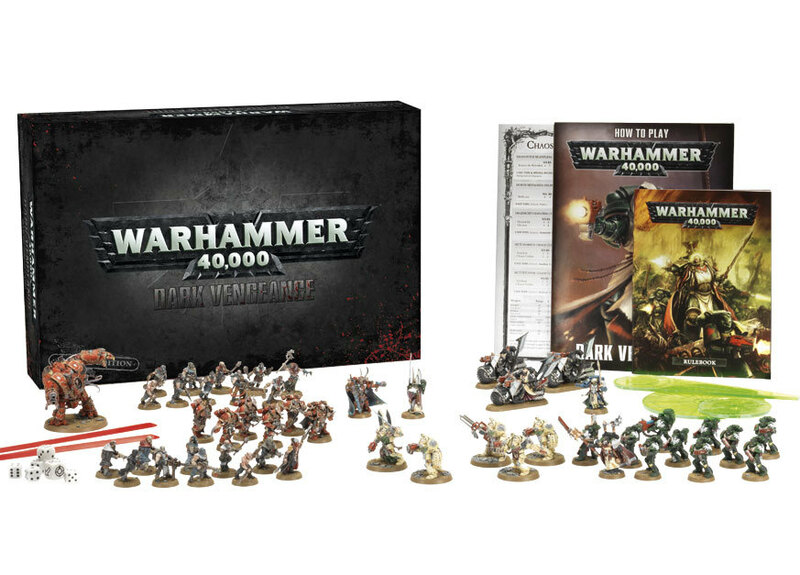 Earlier in the year Games Workshop released the new sixth edition rules and recently has released the Dark Vengeance boxed set. 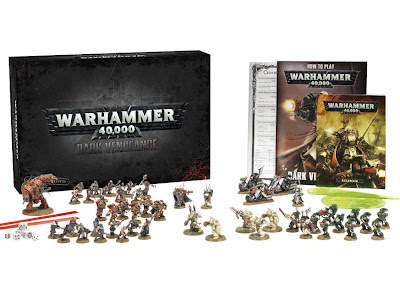 The box includes dice, range finders, a small format rulebook and two complete factions of Space Marine Dark Angels; bio-engineered Templar knights in power armour, and chaos; humans who have given themselves to the dark gods. The rulebook may be tiny in size but includes all of the rules needed to play and doesn’t include the hundreds of pages of ‘gumph’ that you’ll find in the full size rulebook. This is also the game with possibly the best looking plastic miniatures ever. 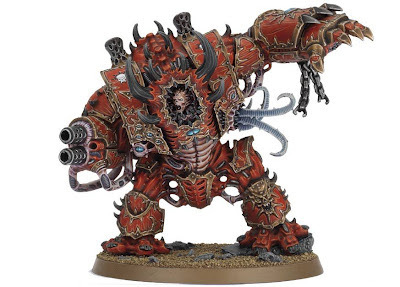 The detail is exquisite and one look at the chaos hell brute and you’ll be converted to the dark gods. Do yo fancy something a little more realistic? Fed up with sci-fi and fantasy? 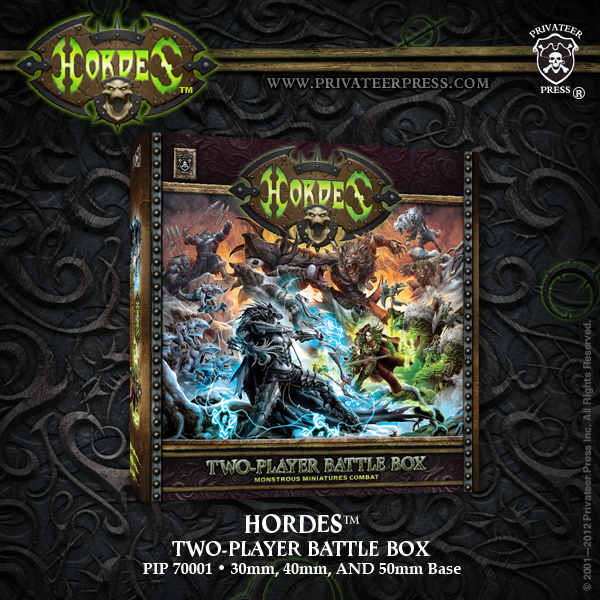 Sick to the back teeth with steam powered robots, dragons and power-armoured douche bags? Want something grounded in a bit more reality? 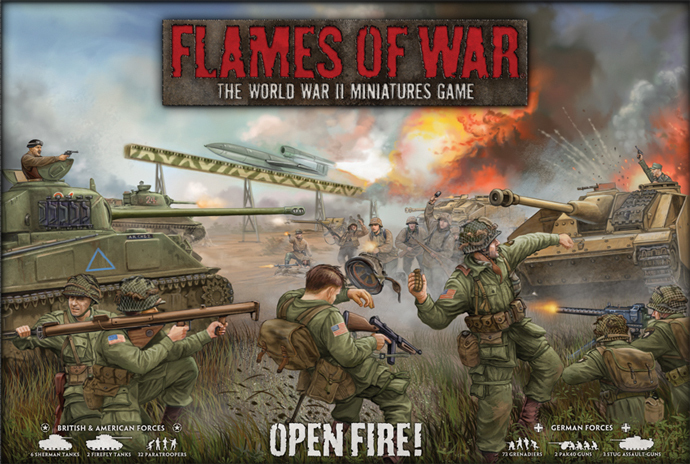 Then Flames of War will be right up your street. Flames of War is a 15mm World War 2 game and Battlefront Miniatures has just announced Open Fire, a two player starter set. 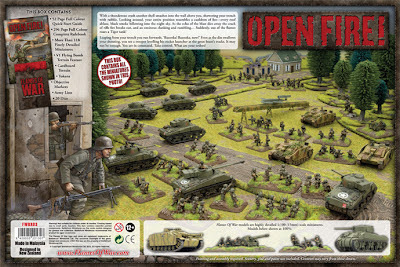 The great things about 15mm is tanks, lots and lots of tanks and who wants to play a WWII game that doesn’t involve them. The box includes units for the Germans and the Allies in the European theatre and full rules and comes in at a much lower price than other sets. New to the block and in a slightly different vein to your typical miniature war games is Fantasy Flight’s X-Wing miniatures game. 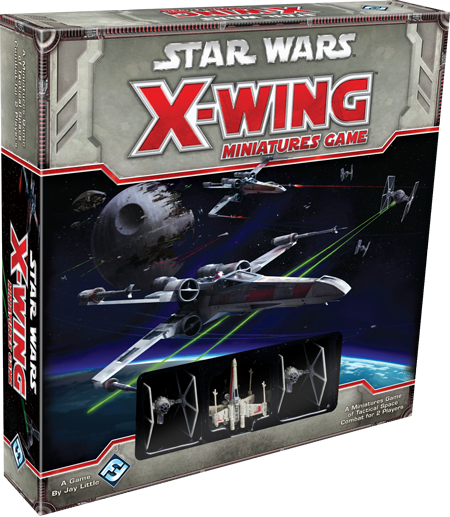 It borrows a lot from Wings of War, which is definitely not a bad thing, and the miniatures are pre-painted but its X-wings and Tie Fighters and none of that prequels nonsense. Notable in my opinion is the absence of some games. I’d like to see a starter set for both Infinity and Mallifaux. 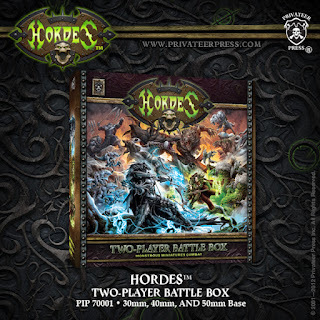 Yes these games have free rules online and you only need a handful of miniatures to play but it would be nice to get everything you need in one go.